184 pages | 19 B/W Illus. This book considers a wide range of illicit industries in China, exploring what drives such activities, why consumers tolerate them to differing degrees, how attempts to regulate them are implemented and how such regulation is resisted. Industries considered include human smuggling, human organs trade, illicit pharmaceuticals, smuggling of animal parts, illegal logging and trade of woods, food safety and shadow banking. 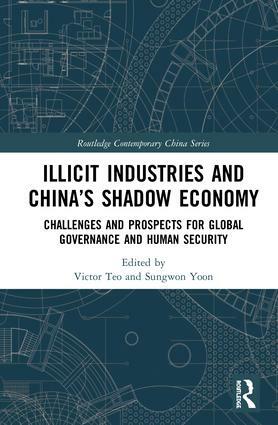 Throughout, the book describes how the shadow economy works, analyses the degree to which illicit activities are regarded as criminal and highlights the importance of the shadow economy for certain regions of China and certain sections of Chinese society. In doing so, it reveals the challenges of human security posed by these industries not only for China, but also for the global community, and considers a robust governance mechanism at both national and global levels to address these challenges. Overall, the book provides a very rich picture of a key aspect of China’s contemporary economy which is difficult to research.